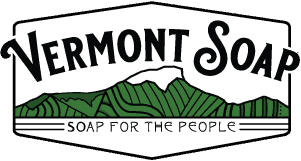 Vermont Soap invented the world’s FIRST USDA certified organic shower gel in 2003. Since then we have sold bulk unscented shower gel base to hundreds of other businesses like yours, that care about their products and their customers. Available in several essential oil scents and in bulk unscented by the gallon, in 5 gal self dispensing cubes, 50 gal drums, and in 275 gal totes. Contact us to discuss your project. The newest innovation to our line of USDA seal bearing foaming bases. Organic shea butter is gelled into our SheaSun Premium Organic Gel to create extra moisture and mildness for extra sensitive skin. A lower priced alternative to the Premium Organic Gel yet very mild and gently moisturizing. Gentler than the Extra Virgin High Olive Gel. Excellent for all over body use.This product cannot bear the USDA seal. Essential oils and botanicals must be natural but do not have to be certified organic. Front label bears a “Made with” statement as in “Made with Organic Coconut Oil” and a certifier statement from VOF below your company contact information. Milder and more moisturizing than the Standard Gel at a slightly higher price point. Contains double the amount of extra virgin olive oil as Standard Gel. Excellent bath and body gel soap for a wide range of skin types.This product cannot bear the USDA seal. Essential oils and botanicals must be natural but do not have to be certified organic. Front label bears a “Made with” statement as in “Made with Organic Coconut Oil” and a certifier statement from VOF below your company contact information. All shower gels can be manufactured using organic rosemary extract and organic glycerin by special request. 750 gallon minimum (6000kg). Additional material cost at current delivered price will apply. Custom viscosities are also available. Contact us for more information.